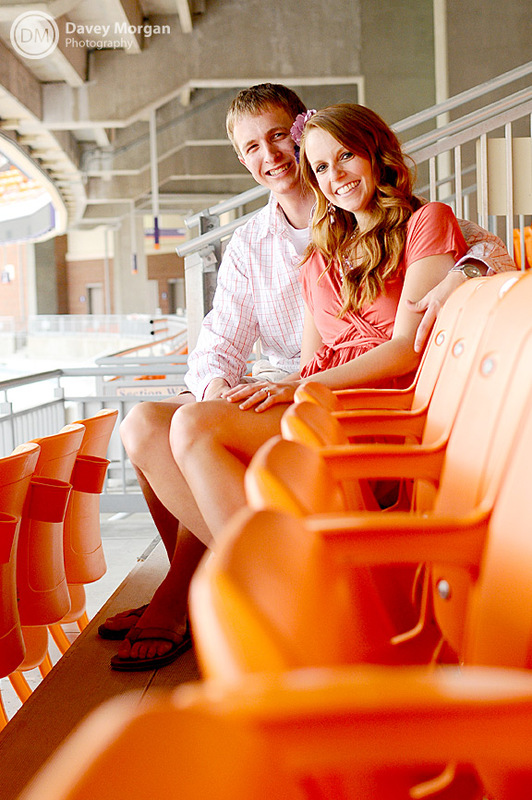 Today's post features the gorgeous couple and Clemson alums Andrea & Patrick, who chose to have their engagement photos taken in Clemson by the super talented Davey Morgan Photography. 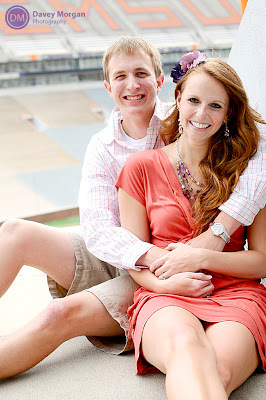 Davey Morgan does amazing work - we have featured their photos in a few of our past Wedding Wednesdays. 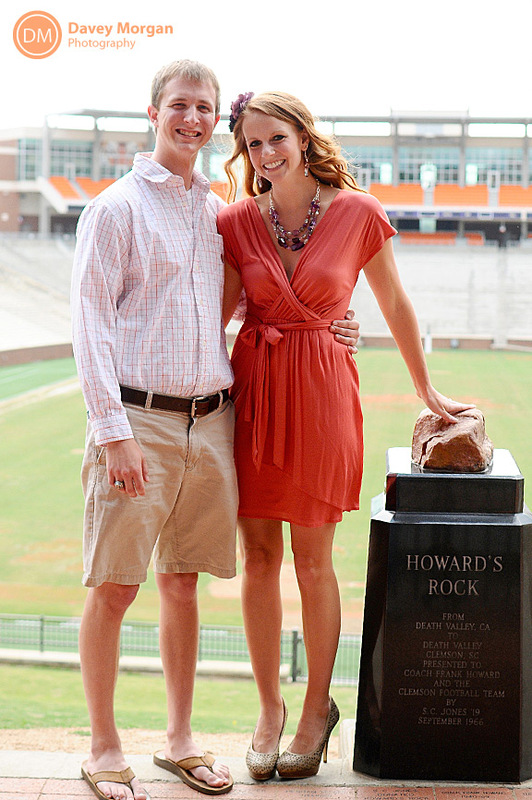 If you haven't already, check out this Clemson-themed wedding on their blog. We are so in love with Andrea and Patrick's engagement photos - from the perfectly styled Clemson outfits (how cute is her flower hair piece and statement necklace??) 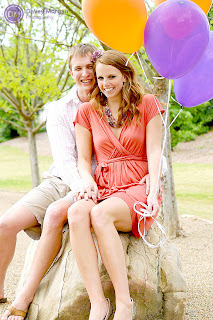 to the purple and orange baloons (such a cute idea), we can't decide which photo we like most. 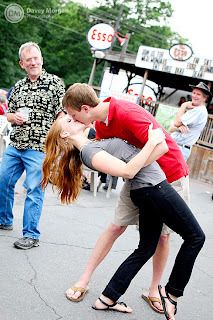 All we can say is that this couple looks like they are so much fun and so in love. 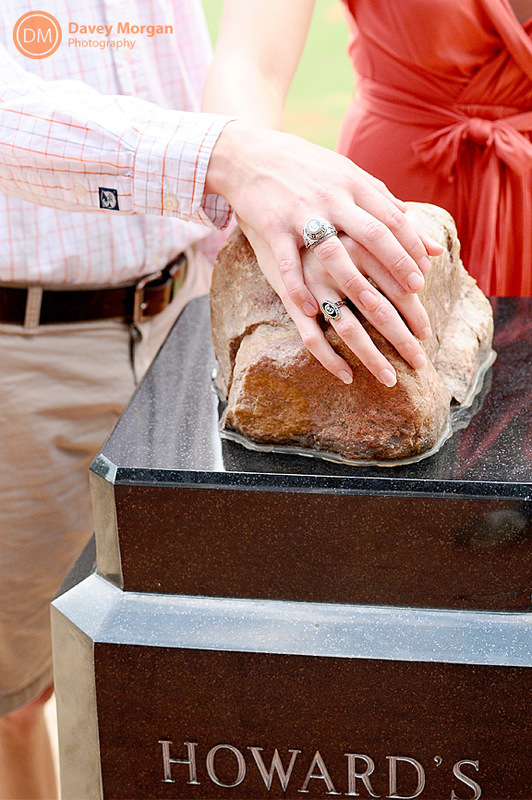 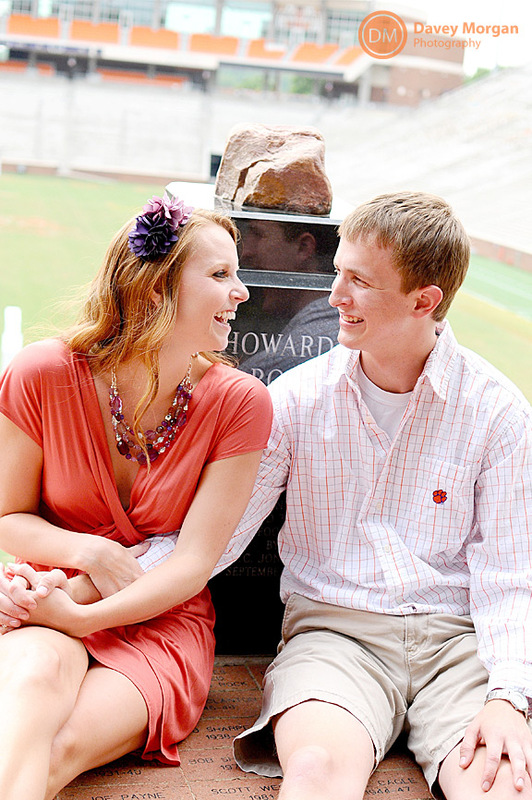 Browse the entire photo session on Davey Morgan's site, which includes some more great Clemson engagment photo ideas (we love this one in particular that made us laugh out loud). 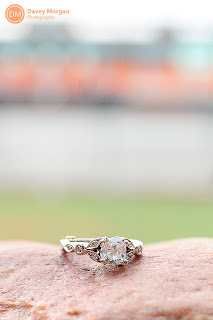 Special thanks to Davey Morgan Photography for letting us feature this engagement session on today's Wedding Wednesday post. They do more than just weddings and engagement sessions...for more gorgeous photography eye candy, visit their Facebook page. Do you have Clemson-themed wedding photos, engagement session photos, or Clemson products perfect for a future Clemson couple's wedding you would like to share on our blog in an upcoming Wedding Wednesday post?? 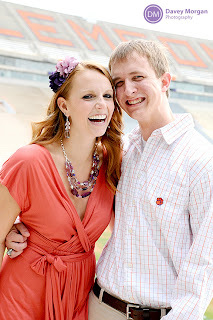 Please email us at clemsongirlblog@gmail.com. 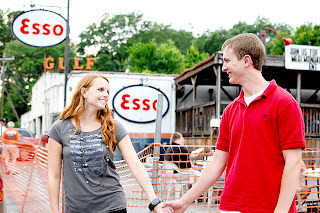 Where did the bride-to-be buy that dress?! 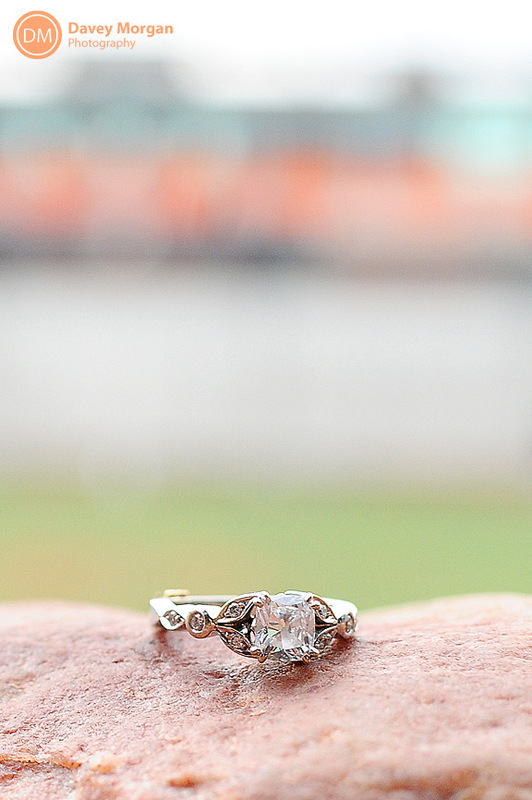 It is too cute!